If you’ve been pondering the idea of when and what to invest in this year, there’s no doubt Australian Argyle pink diamonds are the rosiest (and rarest) hard assets you’ll want to be squirrelling into your investment portfolio, and fast. The 2018 Argyle pink diamonds tender, released by Rio Tinto earlier this year, is the second last tender to be released before the closing of the mine in 2020. The record-breaking tender features 63 diamonds with 6 hero stones, including the largest Vivid Pink and largest Red Diamond ever featured in a pink diamond tender. Needless to say, it’s time to pounce if you’ve been sitting on the fence about investing. With appreciation in value escalating at 13.8% per year, Argyle pink diamond investments offer one of the most promising, steady and beautiful acquisitions you’d be mad to miss. Just how rare are Argyle pink diamonds? At the top end of the spectrum, the 2018 tender collection is so rare the stones will never reach the open market. The Argyle mine is the only reliable source of pink diamonds in the world. Of the 400,000 gem-quality diamonds mined annually at Argyle, less than 1% of these are pink diamonds. That’s rare indeed, but not to say these exquisite gifts of nature are inaccessible from a budget perspective. The Hero Collection from the Rio Tinto Argyle Pink Tender 2018. For anyone looking to invest, we have a stunning range to suit almost all budgets, starting from $10,000. Our services include Self Managed Superannuation Fund (SMSF) advice by our fully certified professionals to make your investment process exciting, worry-free and, above all, lucrative. We are one of Australia’s largest stockholders of loose Argyle pink diamonds, with long-term direct partnerships – for you this means more choices and unbeatable prices. 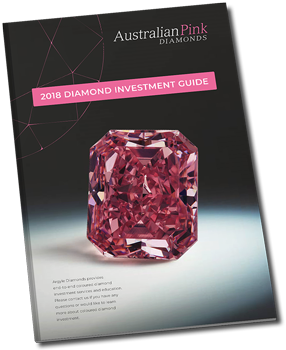 The world’s eyes are on Western Australian pink diamonds, and we feel privileged to be able to offer this amazing opportunity to local and national investors during this historical time. There’s no expectation when you speak to us, we love educating and serving people regardless of your intentions. There’s absolutely no charge for providing education and spending time with you to help you on your decision making journey. Of course we’re on the ‘rarity bandwagon’ for Argyle pink diamond investments, but it’s a genuine and timely opportunity to be taken if you’re in the position to do it. If you’d like us to call you to discuss stock and availability, please add your details here and we’ll call on the next working day at the latest. Or, if you’d prefer, call one of our certified professionals to book a free appointment on (08) 6244 7887.